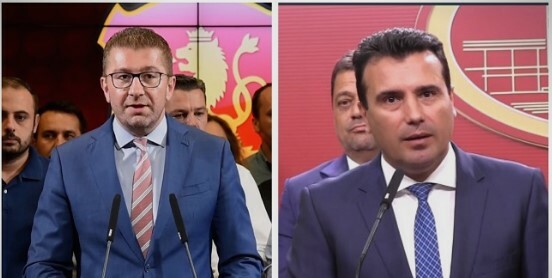 Opposition leader Hristijan Mickoski and incumbent Prime Minister Zoran Zaev will face on Tuesday. They will oppose their views and opinions on TV Kanal 5 “Samo vistina” show. The TV duel starts at 18:30 h.
According to Kanal 5, the two political leaders confirmed their presence. According to the concept of TV Kanal 5, the duel will last 100 minutes, limiting the answers to the questions in a duration of 2 minutes, as well as the possibility of exchanging replies and counter-replies. The two guests will get questions on current topics that citizens expect answers, and they themselves will have the opportunity to open one topic.